How to Create a 301 Redirect for Your WordPress IDX Real Estate Website? The best IDX websites are always changing. As new technologies or marketing strategies emerge, they are implemented online. Pages are continually updated and new content is released regularly. This constant state of evolution, can present problems, however. In certain circumstances, you may want to take down a page or reproduce it on a new url. How can you do this if you’ve linked to the page in several other places on your site? 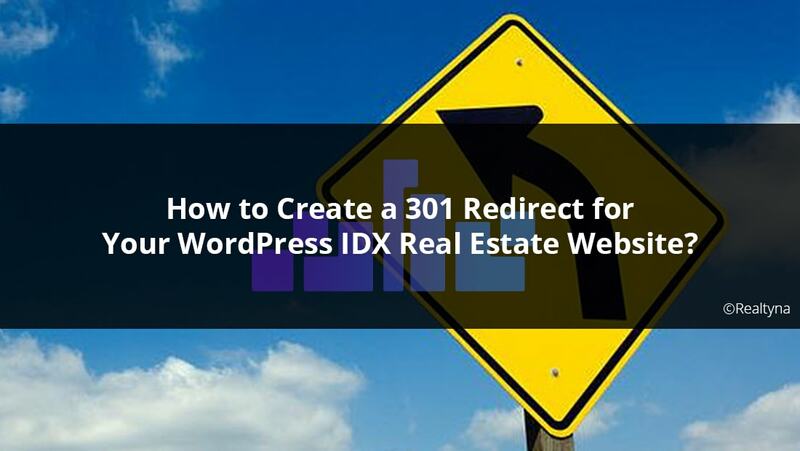 In this blog post we will introduce the 301 redirect and show you how to create one on your WordPress IDX real estate website. 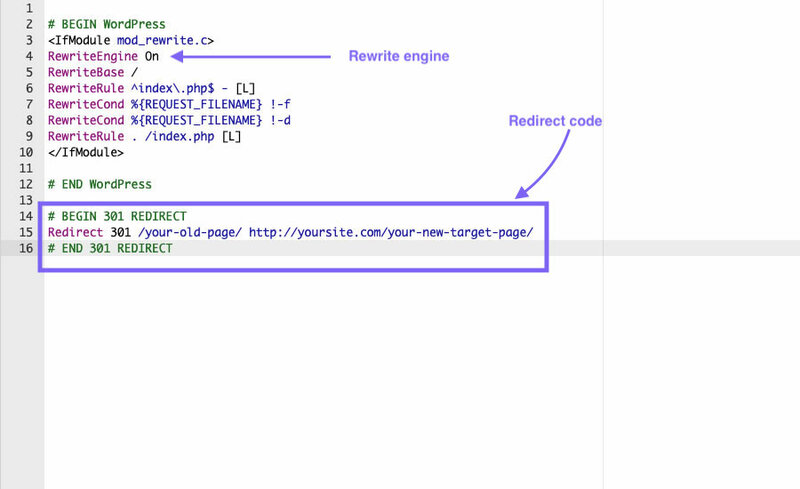 In short, a 301 redirect is a way to send users from one url to another automatically. When users type in a web address or click a link, the redirect provides a message to the web browser that the requested page has been moved. Then it provides a new url, so the browser can automatically forward the users to the correct page. There are, in fact, several different types of redirects. The 301 is the “Moved Permanently” redirect. It is preferred for SEO purposes. As the name implies, a 301 redirect is primarily used when a page on your site has been moved. Instead of sending users to an error, you can forward them to a new url. How Can I Create a 301 Redirect on My WordPress IDX Site? There are two methods for creating a 301 redirect in WordPress. The first involves editing the .htaccess file on your webserver. The second is to install a plugin. The .htaccess file is a file that resides on your web server in the root directory. To access this file you should use a web hosting control panel like cPanel or an ftp client like Filezilla. In this method, your first step should be to backup your .htaccess file. Small mistakes in this file can have large negative consequences on your site. So save a copy of the current file to your machine before making any edits. Now you should download another copy of your .htaccess file. You can open it with a basic text editor. To add the redirect, there are two steps. If it exists, add the following code to the bottom of the file. Make sure you change the the urls to the those that you actually wish to use. Pretty simple. Here’s an image of how it should all look together. WordPress also offers plugins for creating 301 redirects. You may prefer a plugin if you are uncomfortable with ftp or cPanel, or you are worried about making a mistake in the .htaccess file. There are several WordPress plugins for redirects. In this post, we will focus Redirection. 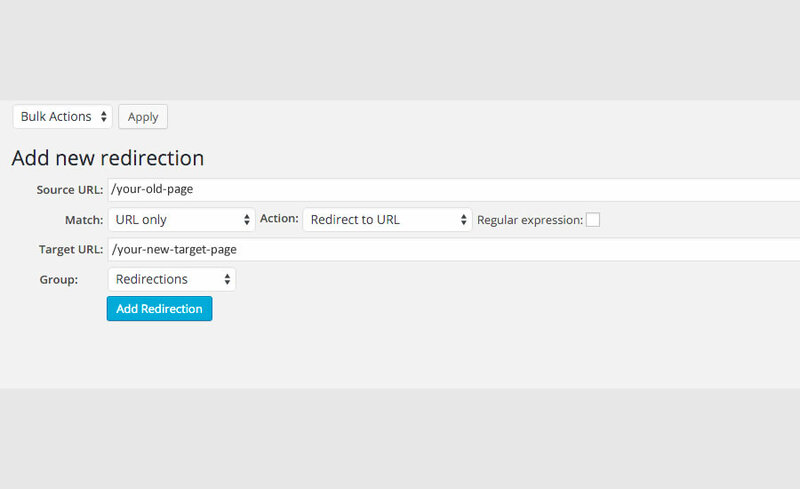 To create a 301 redirect with Redirection, simply install the plugin as you would with any other WordPress plugin. Once, activated navigate to Tools>Redirection. Here, you can add a redirect and manage those that you’ve already created. 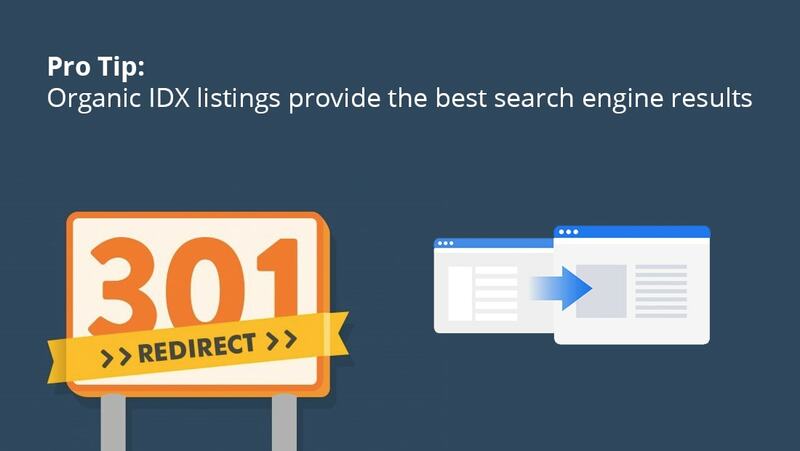 So now you know how to create a 301 redirect for your WordPress IDX real estate website. Questions or feedback? Leave them in the comments. For more IDX tips and tricks check out How to Set Up an Email Address for Your IDX Website and follow Realtyna’s How-To Blog.